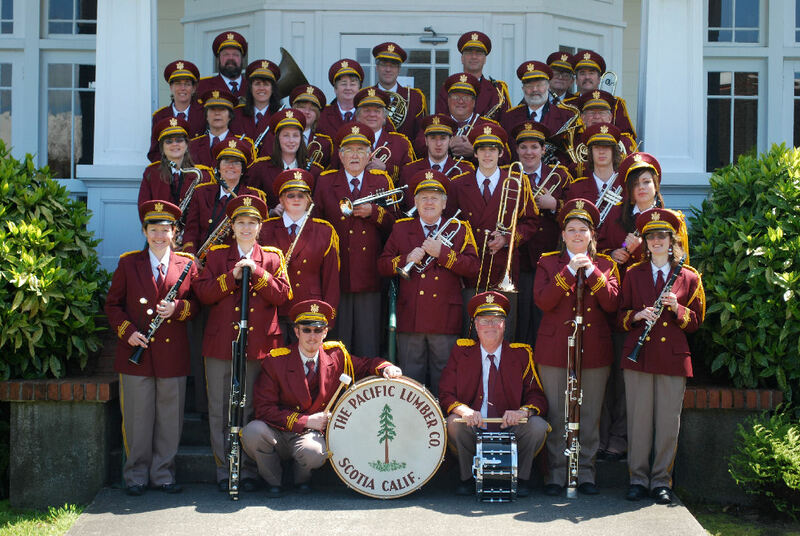 Since its formation in 1935 by a group of individuals in The Pacific Lumber Company town of Scotia, California, Scotia Band has continuously served Humboldt County communities. This spirit of dedicated public service enriches all those whose lives are touched. The band symbolizes the ideals and traditions that have made America great. 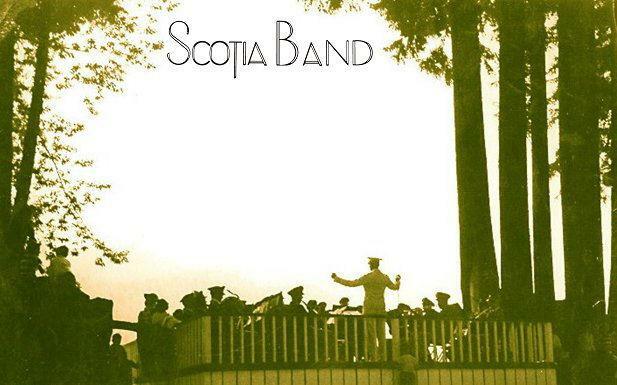 The next time you hear the Scotia Band playing in the park, remember you are listening to a part of America's heritage. Scotia Band became officially recognized as a 501(c)(3) non-profit corporation in 2006. Would you like to donate? Please CLICK HERE TO DONATE. The mission of the Scotia Band is to enrich our community by providing high quality traditional and contemporary concert band music and educational experiences. 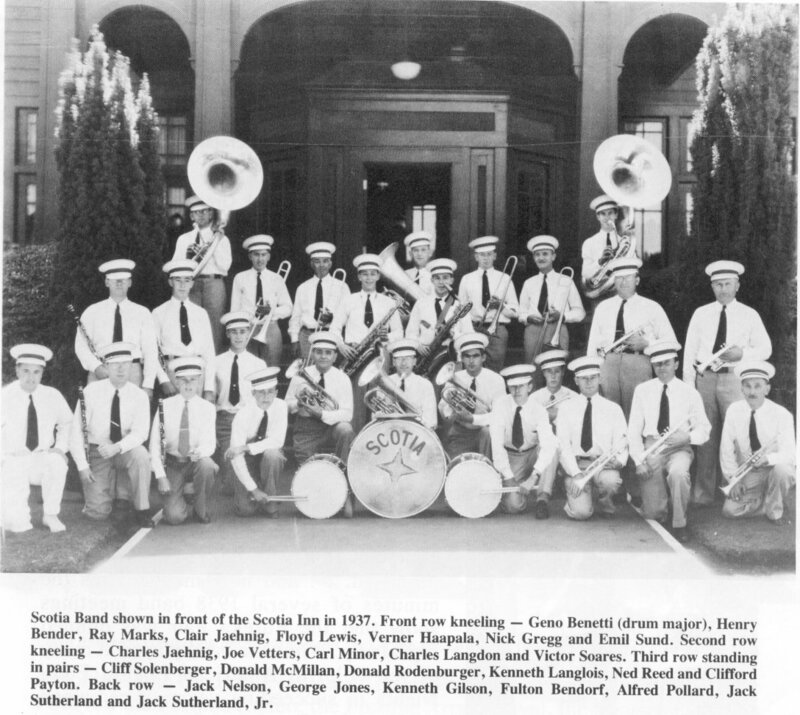 Scotia Band (“Band”) provides an opportunity for musicians in the community to assemble and play traditional and contemporary band music, and to entertain and educate all those in attendance.